It's that time of year once again. 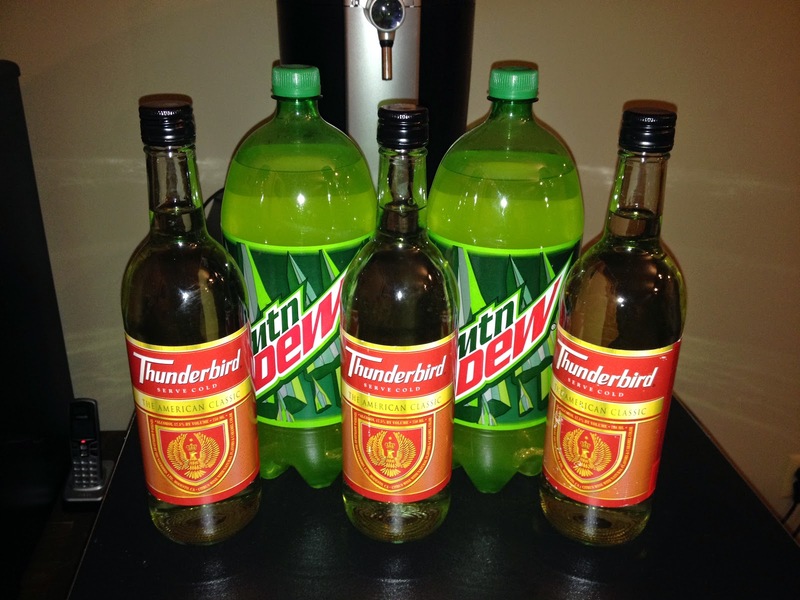 Out of all the bum wine concoctions that have been created, Thunder Dew still ranks as #1 on the list. Over the past two years since it's creation, Thunder Dew has become a bumwinebob.com Halloween tradition. 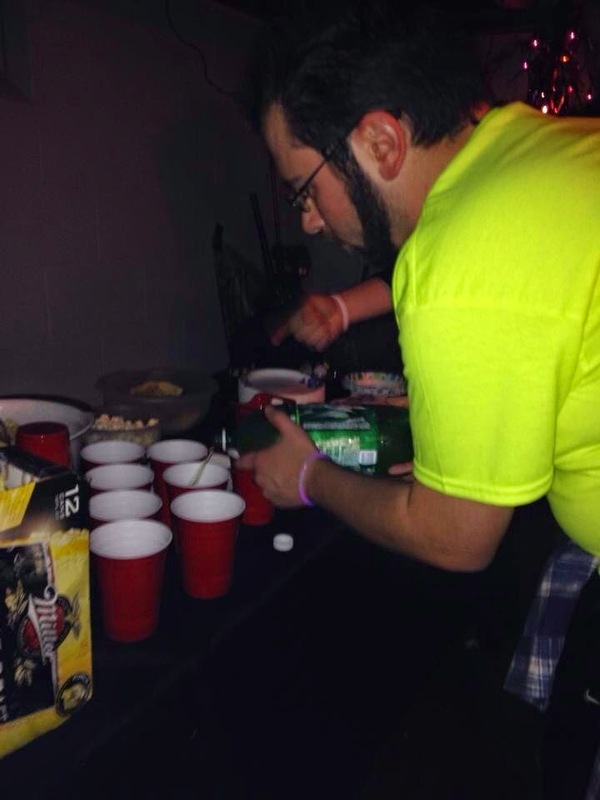 You cannot host or attend a Halloween party without some Thunder Dew being on location. 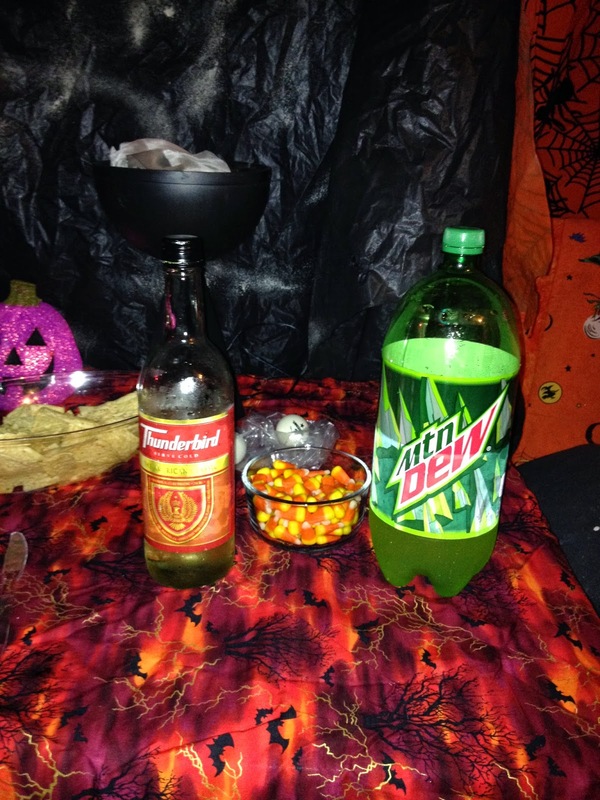 If by chance you are new to the site and do not know about the glorious drink concoction that is Thunder Dew, you can click here to find out about it's induction as the BWB Bum Wine Of The Week for Halloween 2014. The ingredients can be adjusted accordingly and modified to your specific taste depending on how strong you want your Thunder Dew. Do you want to give yourself that extra boost for your night of partying? Add some extra Thunderbird to the mix and feel the rush take over your body. It has gotten rave reviews from people who are not normally bum wine fans and from some bum wine advocates as well. It's the perfect combination! Thunder Dew is still the number one requested Bum Wine Concoction at bumwinebob.com with only the Night Mist coming in at a very close second. 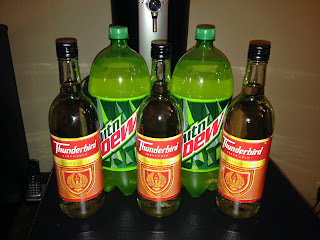 With that being said, I am happy to induct Thunder Dew as the BWB Bum Wine Of The Week! Mix up some Thunder Dew and remember to set your clocks back an hour so you can tune in LIVE this Sunday at 11AM EST for a special Halloween Hangover edition of the Bumming With Bobcat Podcast! Will you be ready to cure that post Halloween hangover? We will be covering all the 2015 Halloween shenanigans along with drinking and party stories. Have any wild Halloween party stories to tell? Call in at 347-826-9598! Tell your friends to tune in and give it a listen! Cheers!